A few months ago I wrote a post on the 2 Things I Say to My Kids Everyday. As I was reflecting on that post this morning, I recognized the need to refine and recommit my daily words of affirmation for my wife. I love you. Simple words but powerful. These 3 words imply both my acceptance and my willingness to place her needs ahead of my own. I must never simply assume she knows. You are beautiful. I have come to realize two things in this area: (1) I have never met a woman who does not enjoy being told she is beautiful and (2) Most women don’t think they are as beautiful as they really are. My shouts declaring her beauty should drown out any doubts she may have. I pray for you. What better way to make my wife feel loved and protected than by laying down my prayer life for her. Even better, the more I understand how my wife benefits directly from my prayers for her, the more I understand how God uses those prayers to build my own faith. You are my desire. The world bombards my wife and I both with images of a false, unrealistic idea of what sensuality and intimacy are. I should remind her daily that she fulfills all my desires….no fantasy could ever compete with what we have! I value our partnership. I have many advisors, mentors, and friends…..still my most trusted source for wisdom, guidance, and honest feedback is my bride. She has seen me at my best and my worst. Our individual futures and our individual purposes are intertwined as one. I would want no one else to walk thru this life with. Thank you. For the big things and the small things. For walking beside me. For being my biggest fan. There are too many things to list (many I never see) but I must continually tell her thank you. She deserves my gratitude. What about you? 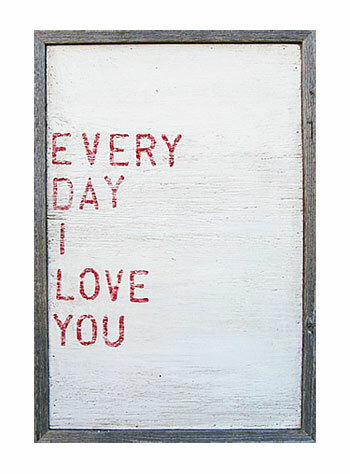 Do you have daily words for your spouse? If not, develop them. Do this every day; make them real, make them count.